ALBA Berlin overcame a double-digit deficit and tied a club-record by hitting 14 three-pointers in a 93-76 home win over visiting Cedevita Zagreb in the German capital on Wednesday night. It was the first Top 16 win for ALBA, which improved to 1-2 in Group H, while Cedevita dropped its third straight game and sits at the bottom of the table with 0-3 record. Elmedin Kikanovic paced the hosts with 19 points, while Peyton Siva amassed 16 points, 10 assists, 7 rebounds and 5 steals. 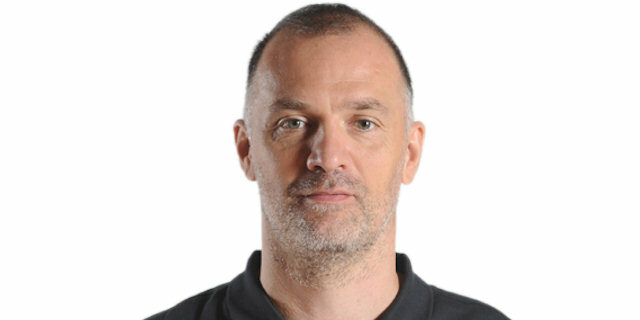 Dragan Milosavljevic also scored 16 and Niels Giffey had 11 points in victory. Cedevita, playing without the injured Marko Tomas, saw Luka Babic lead the way with 22 points. Ryan Boatright scored 15, Ra’Shad James had 11 points, and Karlo Zganec contributed with 10 points and 9 rebounds in defeat. Cedevita got off to a good start as James and Babic each had a three-pointer and a three-point play in helping it open an 11-22 lead in the first quarter. Siva got the hosts going, but Babic scored a pair of baskets and John Shurna nailed a triple to make it 19-31. However Giffey had a three-pointer on the other end to fuel an 18-2 run, capped by a Carl English triple that made it 37-33. The hosts led 42-38 at halftime and the teams traded leads a couple of times in the third before Kikanovic and Tony Gaffney started another hosts run, this time capped with three consecutive triples, one each from Milosavljevic, Kikanovic and Engin Atsur that gave ALBA a 64-53 edge late in the third. Zganec, Babic and Miro Bilan got Cedevita within 69-65 in the fourth, but Akeem Vargas and Milosavljevic hit timely threes on the other end and ALBA never looked back the rest of the way. "We started the TOP 16 with two losses. In our home game against Malaga we had a bad first half and good second half, but couldn’t win the game. In Valencia we played good for most of the time, but couldn’t win either. So I am very happy that we won today at home against a very good and talented team and kept our chances for the quarterfinals. In the beginning we played bad defense, but we changed that in the second quarter. I am happy how my team shared the ball today." "ALBA deserved this win. They played really well. We had a good start and a good lead. But when ALBA increased their aggressiveness in the second quarter, we didn’t respond well. We committed too many turnovers that led to many fastbreak points for ALBA. In the second half ALBA played with much confidence and hit many shots – even contested ones. I am not happy with the way we finished the game in the last minutes." "I would rather that I did not score and won. We had an excellent first quarter, we played smart and good defense. But I don’t know what happened in the second quarter; we had a lot of turnovers and allowed them a lot of easy points. We fell apart. They hit a lot of shots in the second half and we could not come back. We played pretty stupid, they trapped us, which we were warned about, but we lost a lot of ball that gave them easy points and which they used to build confidence."